The shipping container is all around: whizzing by on the highway, trundling past on rails, unloading behind a big box store even as you shop there, clanking on the docks just out of sight.... 90% of the goods and materials that move around the globe do so in shipping containers. It is an absolutely ubiquitous object, even if most of us have no direct contact with it. But what is this thing? Where has it been, and where is it going? 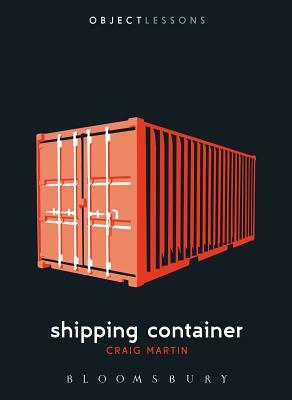 Craig Martin's book illuminates the "development of containerization"-including design history, standardization, aesthetics, and a surprising speculative discussion of the futurity of shipping containers. Craig Martin is Senior Lecturer in Design Cultures at The University of Edinburgh, UK. He is the co-editor, with J. Rugg, of Spatialities: The Geographies of Art & Architecture (2011).